It's the same old story. Boy meets girl. They fall in love. Boy uses radioactive condom for virility. Yeah, romance has a shelf life of forever. 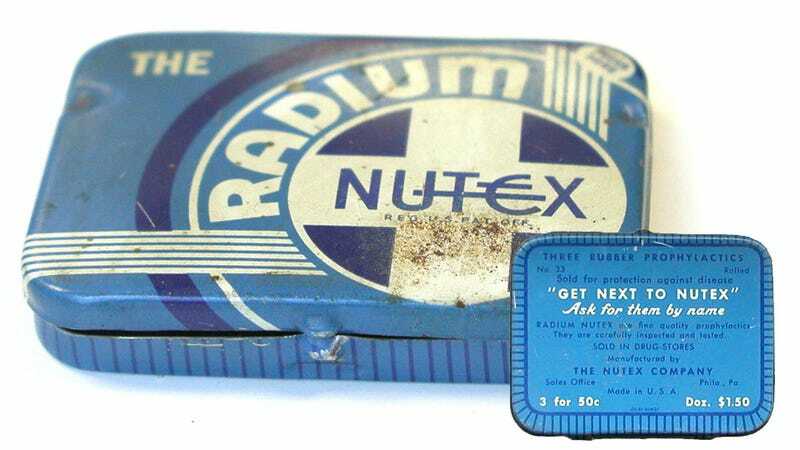 In the early 20th century, it was all the rage to add Radium to items. The most famous being watch faces, where the numbers would glow so you could see what time it is in the dark. You know, in case you had to a night-time chemo session.